In order to secure US Vice President Mike Pence’s visit to the Western Wall on Tuesday, the Israeli Police placed that area of Jerusalem on lockdown, closing off the Western Wall and its surroundings to both vehicles and pedestrians for four hours. 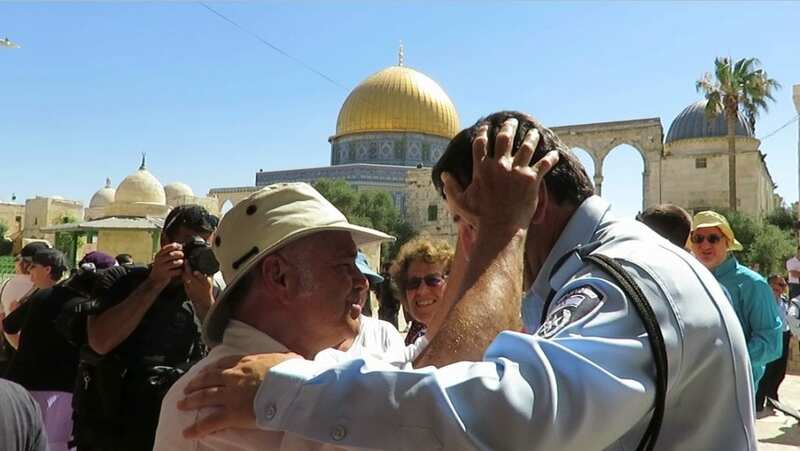 However, in an extremely unprecedented move, Amit Branchuk, the police officer in charge of the Temple Mount entrance, went around to the roadblocks and personally accompanied any Jew who wanted to ascend the Temple Mount at that time. Vice President Pence paid a short, 15-minute visit to the Western Wall on Tuesday but the security preparations effectively prevented anyone who wanted to pray at the Western Wall from doing so for several hours. For Jews who wanted to visit the Temple Mount, the security measures could have caused them to miss the small window of time allotted for Jews and other non-Muslims to ascend. Much to the surprise of the visitors, Branchuk made a tour of the roadblocks, searching for people who wanted to visit the Temple Mount. Branchuk also accompanied those Jews to the Temple Mount entrance. When they arrived, they were pleased to see the compound was almost entirely vacant, removing any concern of there being large crowds of protesting Muslims. 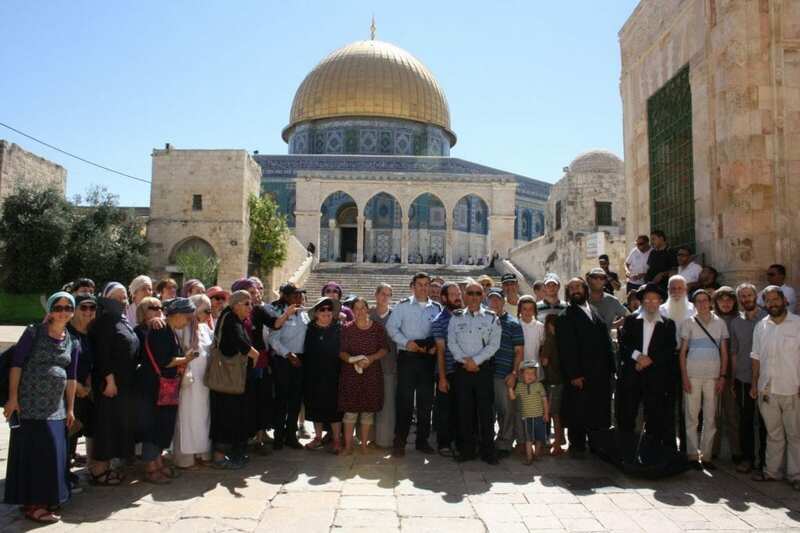 Shimshon Elboim, a Temple Mount activist, praised Branchuk’s actions, telling Breaking Israel News that they were part of a growing trend in which the Israeli police, led by Jerusalem Police Chief Yoram Halevi, are becoming more supportive and accepting of an increasing Jewish presence on the Temple Mount. “This stands in sharp contrast to similar situations in the past in which the security establishment emphasized Muslim access at the expense of the Jews,” Elboim told Breaking Israel News. In an article published on their website on Monday, the United Temple Mount Movement praised the security establishment, singling out Halevi for his personal involvement. This development comes after a long period during which security concerns led police to restrict Jewish visitation. Despite a ruling by an Israeli magistrate court in 2015 in favor of enforcing religious equality on the Temple Mount, the Israeli Police had cited security reasons at the time to justify continuing a policy that prohibits Jews from praying at the site. Jews who visited the site were subjected to rigorous security checks and were accompanied by police and Waqf guards. According to Asaf Fried, spokesman for the United Temple Movements, the strictness of the police went beyond what was required for security. Fried felt that at the time, the security establishment viewed Jews who wanted to ascend the Temple Mount as extremists and responsible for escalating tensions at the site. As such, the police worked to prevent Jews from visiting the site and to reduce their numbers. Fried believes that the current attitude of the security establishment is that the site should be readily available to all who wish to visit. “This has come as a result of top-to-bottom changes from everyone involved in the Jewish presence on the Temple Mount,” Fried told Breaking Israel News. “Two and a half years ago, Gilad Erdan took over as Minister of Public Security,” Fried said, explaining that Erdan abandoned the policy of routinely responded to Muslim violence by closing the site to Jews. This difference has helped to significantly boost the number of Jews visiting the Temple Mount, and the figures show it. In 2009, 5,658 Jews ascended to the Temple Mount and had doubled by 2015. Just two years later, a total of 25,000 Jews visited the site. Fried attributes these results not only to a changes in official policy but also an increase in the public’s interest over the issue. “It used to be unpleasant to stand there while the Muslims yelled at us,” Fried related. The United Temple Mount Movements also specifically praised Halevi for his role in promoting Jewish rights on the Temple Mount. Halevi’s role in helping Jews ascend the Temple Mount is professional but it also reflects his family’s Biblical role in the Temple, one which will only increase after the Temple is built. As his name implies, the police chief is from the tribe of Levi, which was charged with several key roles in the Temple including guarding the complex. The prophets have also implied that the tribe of Levi will have a leading role in the construction of the Third Temple. Elboim noted that Halevi’s benevolent approach to his job has produced positive results. Elboim cited Isaiah, saying that the actions of the police were bringing the Temple Mount closer to its prophesied role.